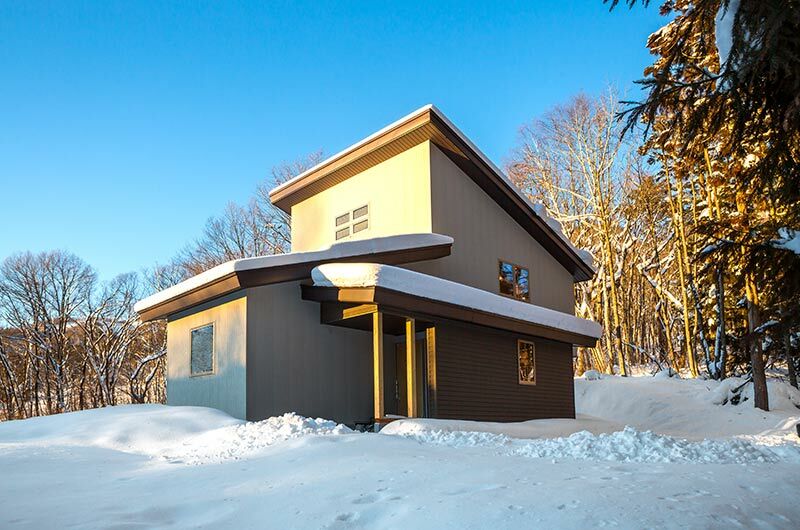 Set over two stories, Solar Chalets are some of the newest luxury chalet offerings in Hakuba. 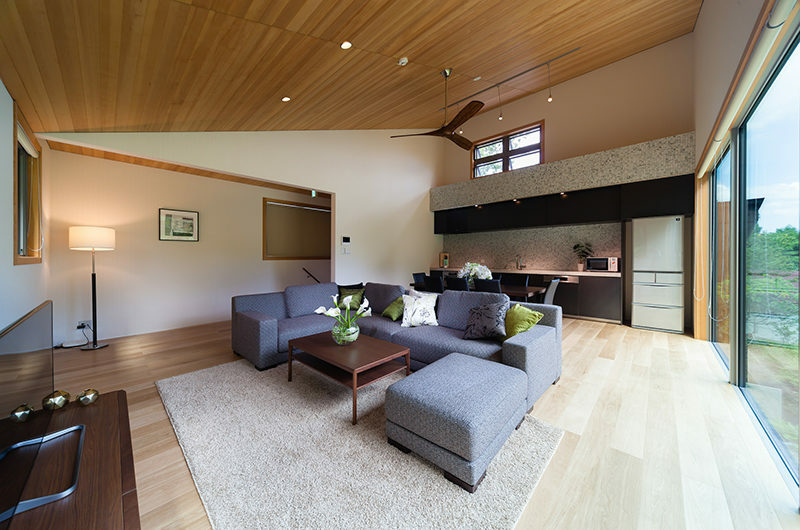 Located near the Hakuba Village region’s prime area of the idyllic Wadano Forest, the chalet’s location is matched only by the subtle sense of luxury that the property boasts – both in terms of its interior and its amenities. Large, open-plan living areas serve to provide a comfortable family atmosphere in which to enjoy long evenings together relaxing. 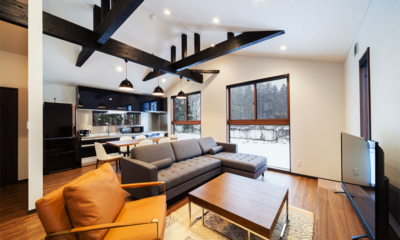 High ceilings, stunning Hokkaido pine and contemporary fixtures and fittings make for a sleek interior and a memorable holiday experience. Neutral colourways and quality furnishings give Solar Chalets an exclusive feel – perfect for the modern-day group of family or friends looking for that stylish home away from home. 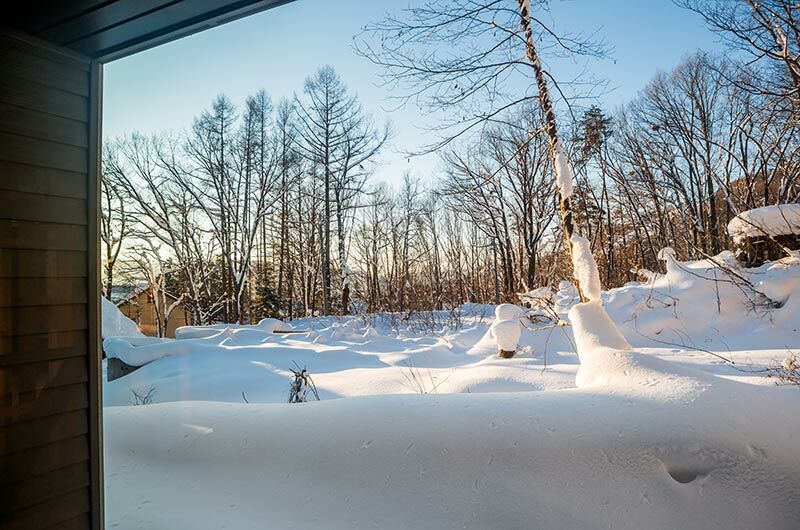 With immersive views from almost all sides directly into the wild magic of the Wadano Forest, guests will feel disconnected from the modern world in the powder wonderland that is Hakuba. However, free wireless broadband internet runs the length of the house, meaning that this disconnect is only as present as that necessary email inbox will allow. A large flat screen LCD TV provides hours of chilled out evening entertainment in sync with the choice that Solar Chalet’s Apple TV and Netflix accounts provide. This, in addition to the sound dock and hydraulic underfloor heating adds those perfect finishing touches to what is already an ideal holiday home. 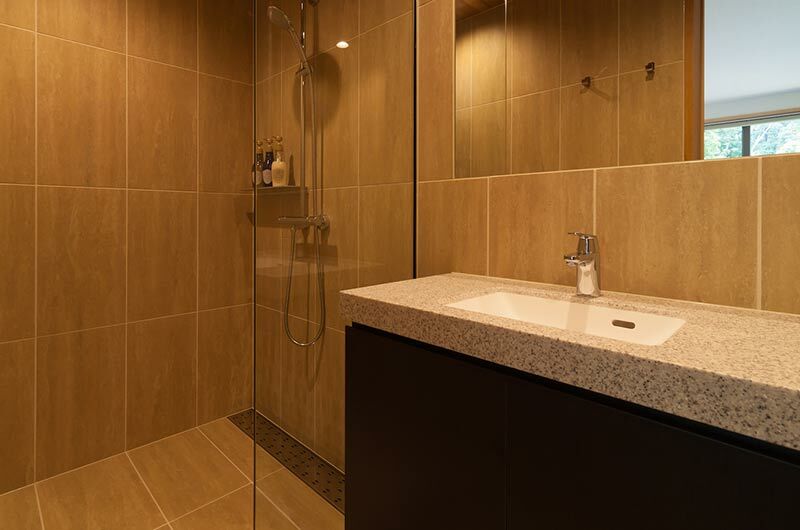 A fully equipped kitchen, washing machine, a ski storage and dry room as well as daily rubbish removal and linen / towel services complete the line-up of necessary amenities. Sleeping configuration is easily customisable according to the size and nature of each group. 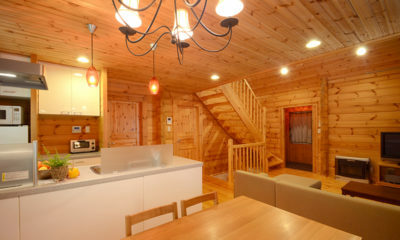 Across 3 bedrooms, 8 people can sleep comfortably. 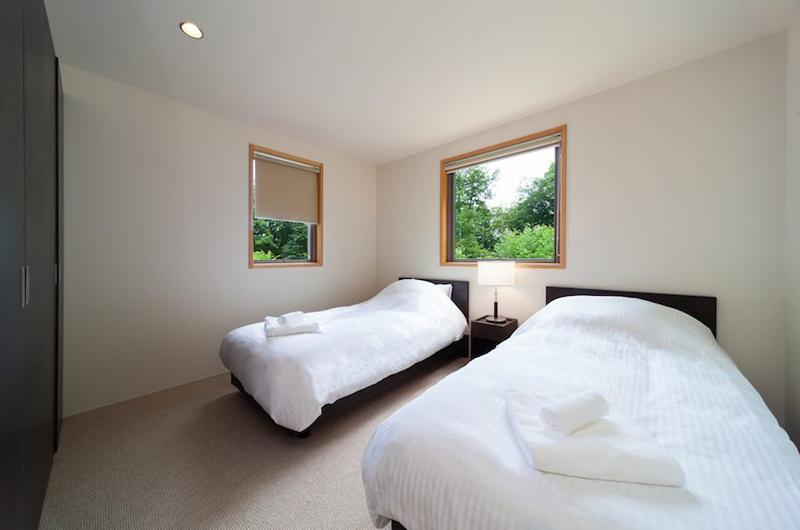 Two bedrooms offer king size beds, which can be split into 2 singles depending on what’s needed. The third bedroom offers 2 adult-size bunk beds – providing accommodation for 4 individuals in a super-fun bedroom set-up for grown-ups and kids alike. Concierge services are provided from the nearby Luna Hotel, and include pick up and drop off during your stay. 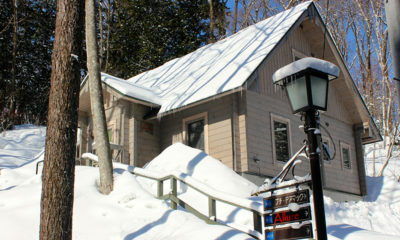 The master bedroom is located on the ground floor with all other bedrooms. Two guests can sleep in either one king double or two single beds in this expansive master bedroom. 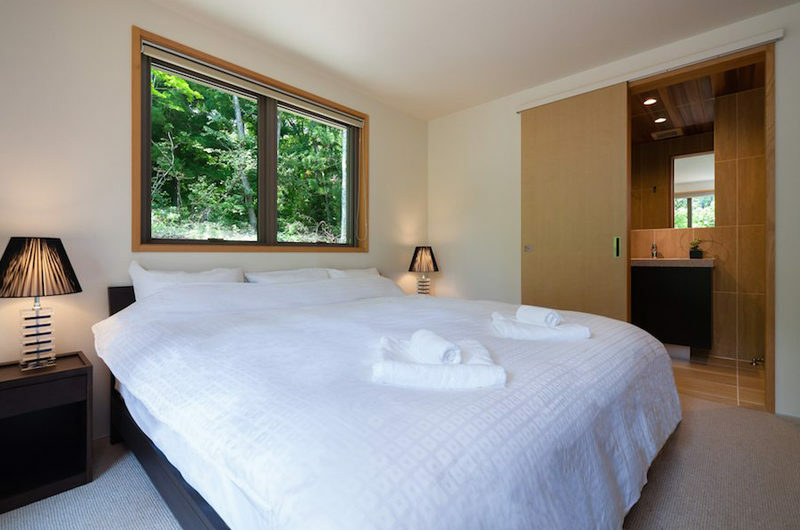 There is an en-suite bathroom with shower, and windows look out onto the forests of the Wadano region. 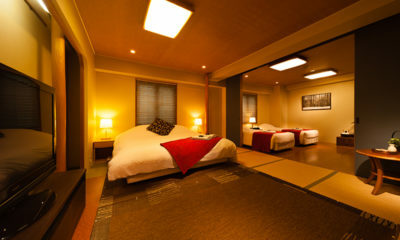 The second bedroom is much like the first, located on the ground floor. 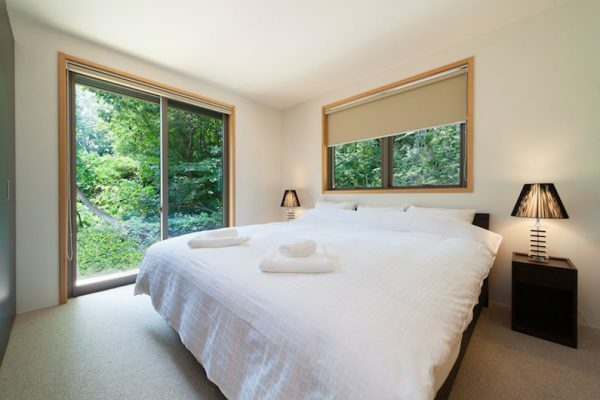 Two guests can sleep in either one king double or two singles, arranged how you prefer. 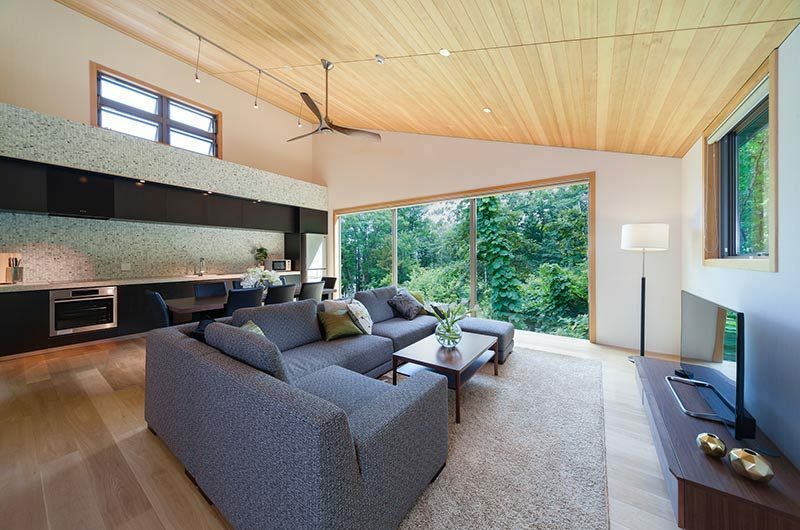 Windows look out onto the Wadano woods, with glimpses of the mountains and valley beyond. 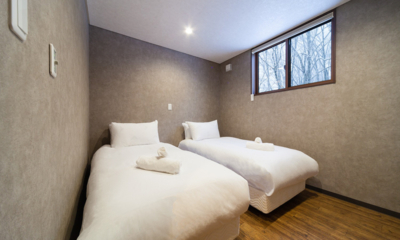 There is a shared bathroom with shower and a feature Japanese bath nearby so bathroom facilities aren’t a hassle. The third bedroom is on the ground floor, and sleeps up to four guests in two bunk beds, sized for adults but great fun for kids as well. There are closets with ample storage space for everyone’s things. 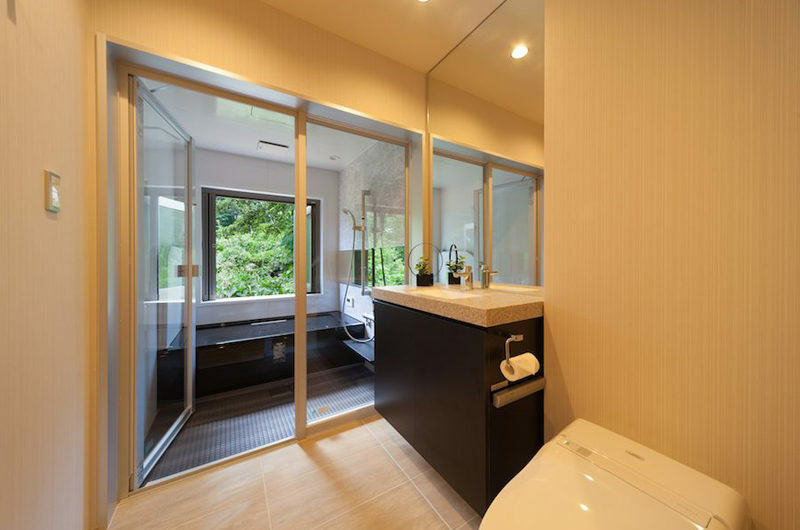 The shared bathroom with shower and feature bath is just down the hall for easy access. 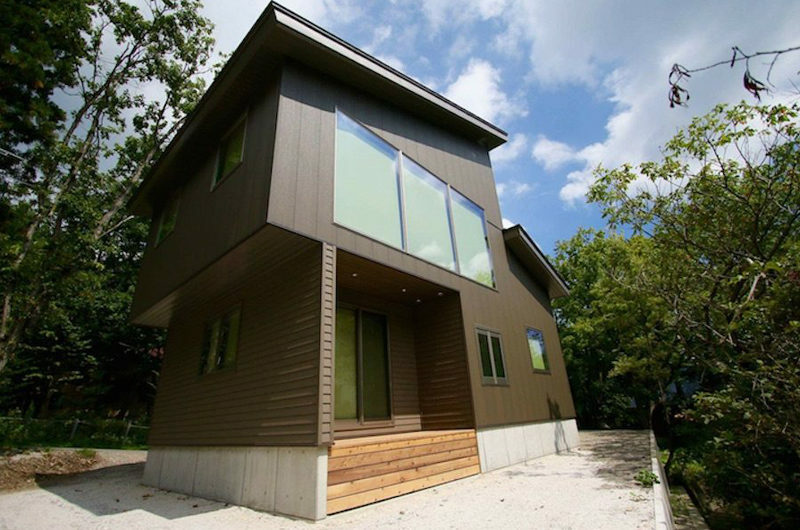 Wadano Village is the latest and most exclusive development area in the Hakuba Valley region of the Japanese Alps. Surrounded by luxury and alpine magic at every turn, perspectives from all angles are picture perfect and provide a stunning setting for any relaxing break from reality. 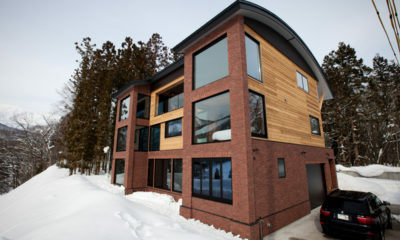 Of course, the ski access is equally as memorable. 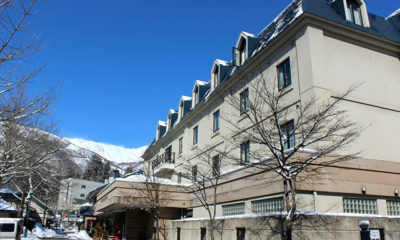 Hakuba Happo One’s Sakka Ski Slope is a 5-minute walk away, and from here guests can ski down to the Quad lift for additional ski choice access. Wagyu Kobeya, Rabbit Hole, and Sakura are great restaurants in very close proximity. The management offers timed shuttle services to the nearest supermarket every day so you can stock up and make the best use of that full-feature kitchen.